meets customer needs which is becoming more diversified and sophisticated. lengthy cargo, heavy cargo and various kind of breakbulk. we keep exploring our potentialities further throughout the world. 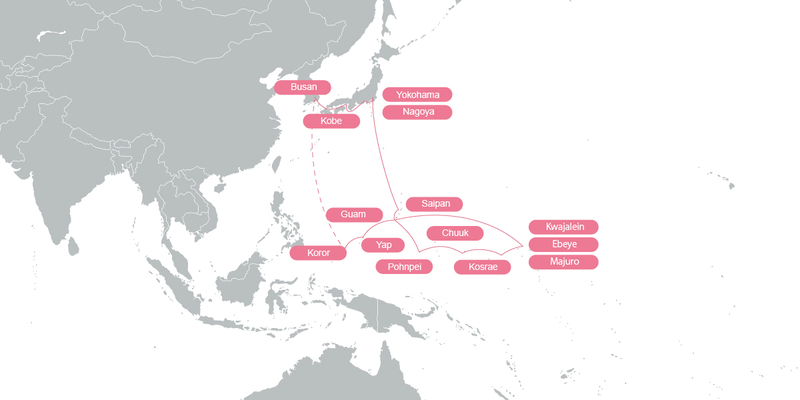 We provide service from Asian ports to many Micronesian ports, mainly using 3 multi-purpose vessels of D/W 12,000 KT. We offer service with 2 multi-purpose vessels of D/W 8,500 KT. We offer service with 4 multi-purpose vessels of D/W 18,000 KT.